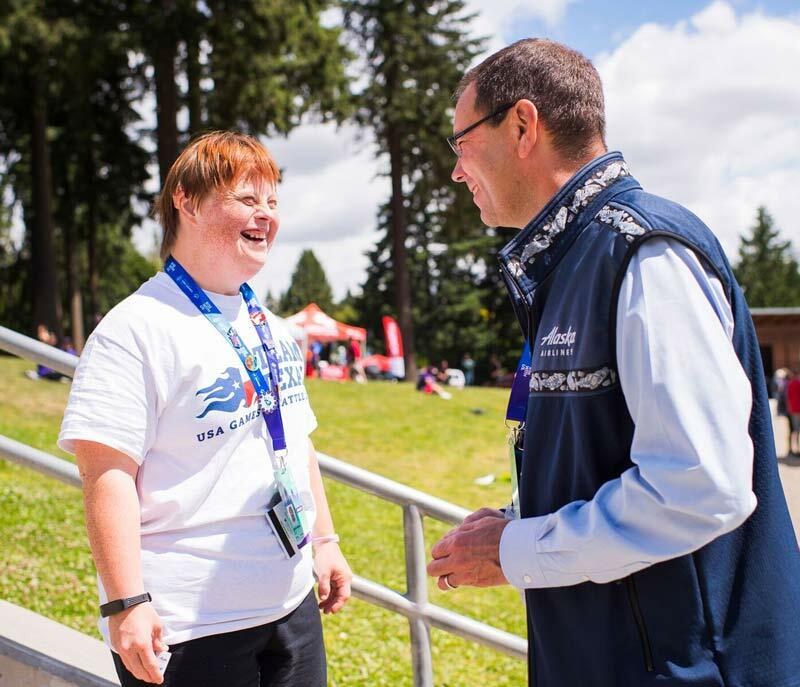 Alaska Airlines and its employees are joining with Western Washington to cheer on athletes now in the Seattle area for the 2018 Special Olympics USA Games. Underway today and tomorrow, July 2 and 3, is the stand-up paddle board competition, which is happening at Angle Lake in SeaTac next door to Alaska’s corporate headquarters. Alaska employees embraced the chance to get involved and support the teams. Marlene Gama drove over from Yakima, where she’s a customer service representative for Horizon Air. She works with special needs children, and felt a connection watching the athletes. Over the weekend, Alaska employees greeted hundreds of amazing athletes, their families, coaches and friends as they flew in from all over the country. 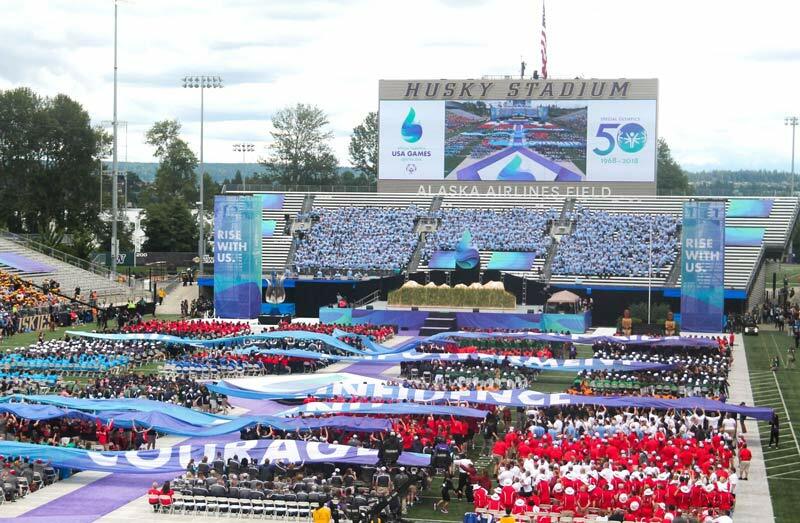 Alaska is a proud sponsor of the Games being held in Seattle through July 6. Quite a few of competitors and spectators arrived on Alaska flights using travel discounts provided as part of Alaska’s partnership with the Special Olympics. Here’s a look at some of the festivities, from the athletes in action to arrivals at the airport to the Opening Ceremony.